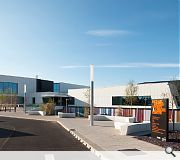 Completed in June 2013, the £21m new-build Michael Woods Sports and Leisure Centre replaced the existing 1970’s FIPRE Fife Institute, the new centre being located on Viewfield Road, Glenrothes. 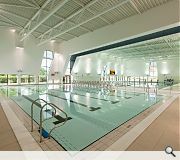 The primary driver in the design of the new centre has been the desire to create an engaging and stimulating environment that improves health by actively encouraging participation in sports and leisure facilities. The design concept has delivered a building that responds sympathetically to its context with good connectivity and visual permeability between the key internal activities and the external landscape. The building promotes accessibility for all with a clear sense of arrival and a layout that is simply laid out and easy to navigate. The large sports hall and pool hall volumes combine to generate a striking contemporary facility with the complex juxtaposition of cubic forms flooding the interior with natural light delivering spatial intrigue and delight. 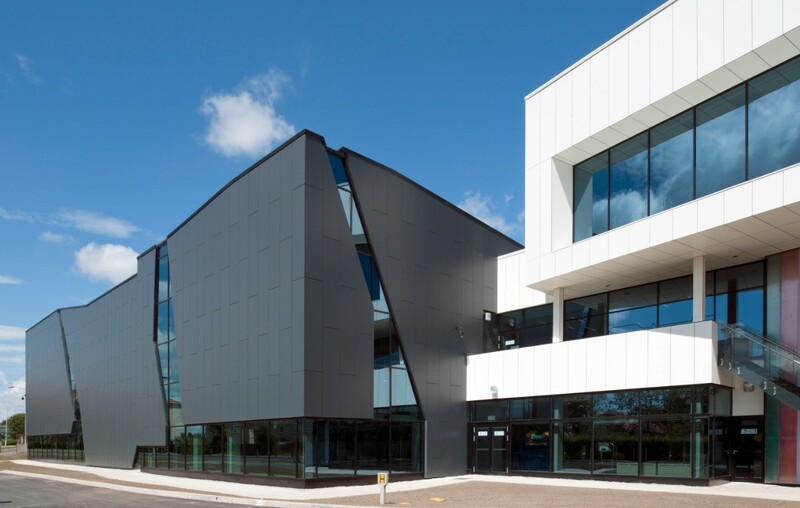 Dramatic glazed slots offer glimpse views into the pool hall while the glazed fitness suite that activates the frontage to Viewfield Road enjoys expansive landscape views. 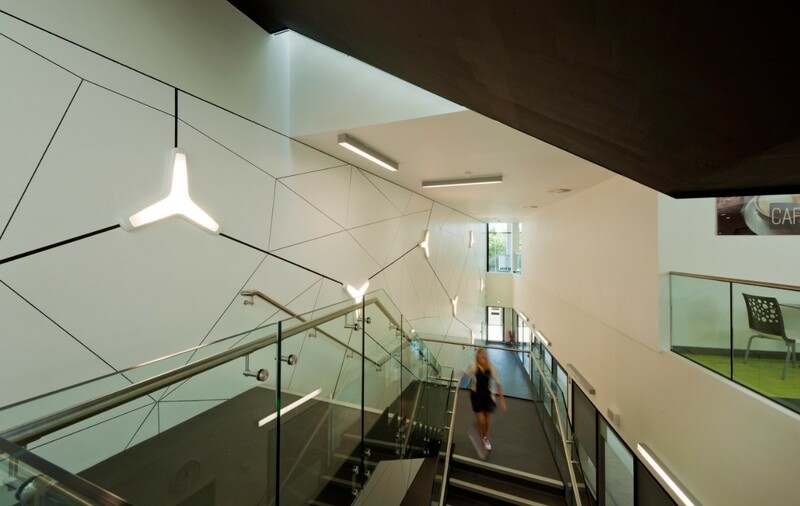 The foyer, reception and cafe are positioned to connect visually to all key functions within the building with key linkages between changing and sports areas and connections to high quality cafe areas. Materials have been carefully selected to be durable, easily cleaned and low in embedded energy. 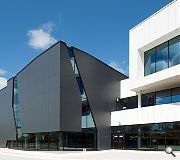 The centre is one of the best equipped facilities in Fife, offering Regional standard sports and leisure facilities and a huge range of programmes and activities. 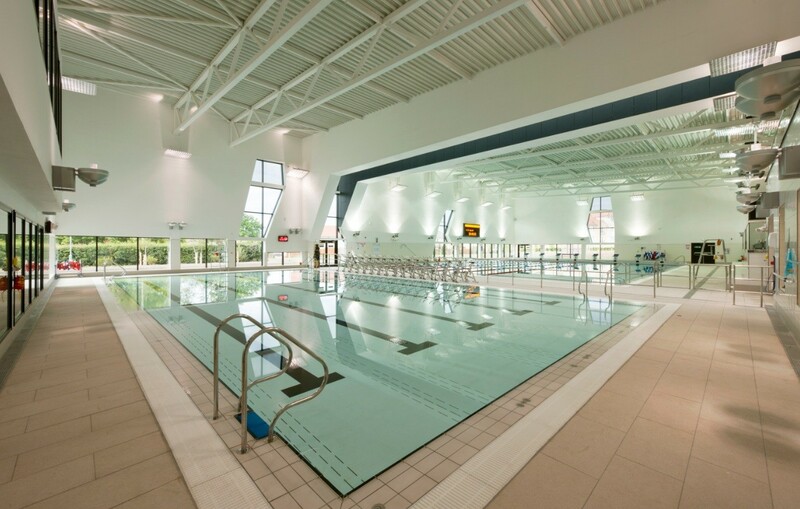 Thanks to a choice of 3 swimming pools, 85-station gym with state-of-the-art equipment, fitness studios, squash courts, sports hall, outdoor pitches, health suite, crèche and café – the centre delivers unrivalled choice and quality. 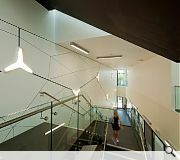 Since its doors opened in the summer of 2013, thousands of people, of all ages and abilities, have taken advantage of the centre’s contemporary, well-laid out facilities. 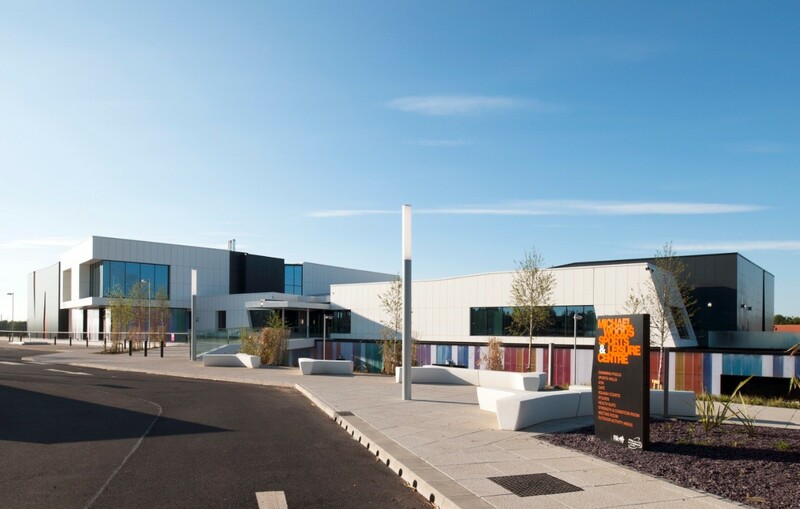 External facilities include a full size floodlit synthetic turf pitch, 3 five-a-side and 1 seven-a-side 3G synthetic turf pitches as well as a refurbished floodlit Athletic Track.